Sometimes it can be difficult to keep a meeting on track when people have a hard time staying focused at the right level. People can find themselves “down in the weeds” or operational details when the meeting is supposed to be strategic, or, conversely, they can find themselves being too abstract and strategic when operational detail is exactly what’s needed. You can use Altitude to agree on expectations and keep people focused at the right level to serve the goals of the meeting. 1. Create a chart like the one shown below. 2. Give everyone a sheet of paper. 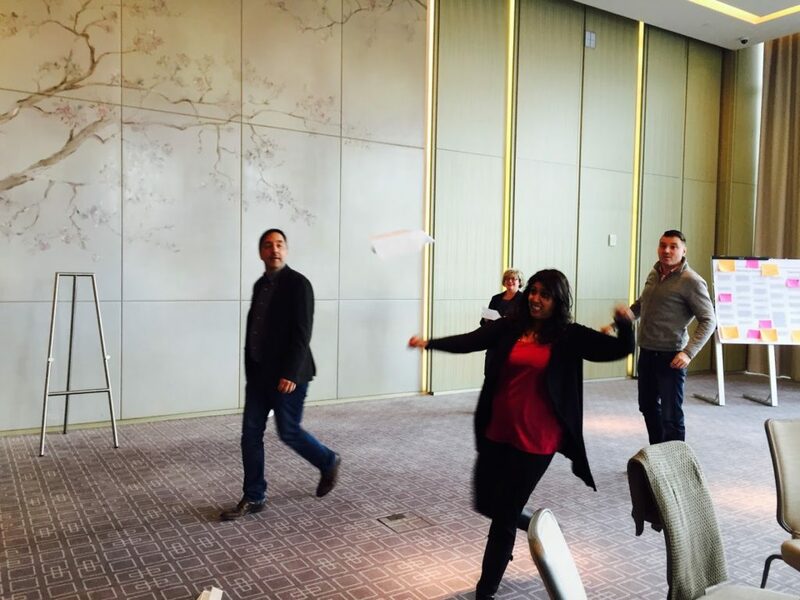 Ask, “Who knows how to make a paper airplane? and ask for a show of hands. If there are people who don’t know how, either show them or ask someone at their table to do so. Now ask everyone to make a paper airplane. If time permits, you might offer them a chance to test their planes to make sure they fly. 3. 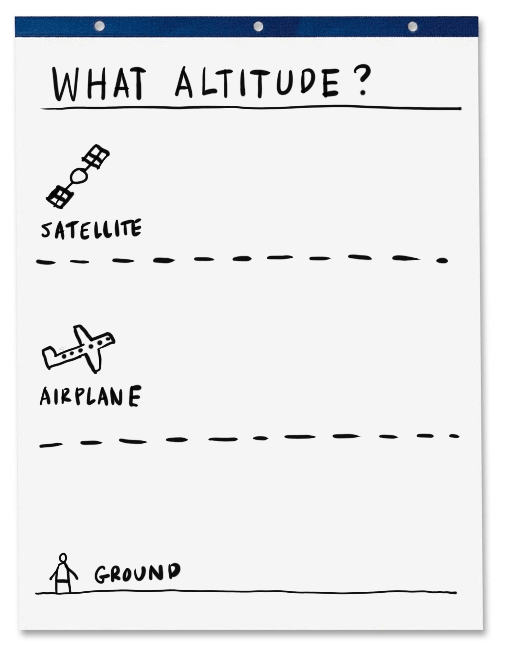 Reveal the altitude chart, and ask the group to define what they mean by the satellite level, or the airplane level, and the ground level. For example, if people say that the satellite level is too high but the ground level is too detailed, ask them for examples of the kinds of things that they would consider at the right altitude. Then ask them for examples of things that would be too low or too high. 4. When you have reached some consensus on the right altitude level, put a mark on the page to represent the “right” altitude. 5. Now tell people that whenever they notice the conversation going too high (abstract, vague, strategic) or too low (down in the weeds, tactical, operational) they can float their airplane and that will be a signal to the group. Meetings often go off track when someone pulls conversations into the wrong “altitude.” When this happens people often tune out, or even leave. In most meetings there is no simple, easy feedback mechanism people can use to keep the meeting on track. Giving people such a feedback mechanism (and making it fun) makes it easier for people to weigh in, keeping the meeting on track.